Swimming is a hobby and a passion for many people across the globe. For some people, swimming is a career that puts bread on the table. Swimmers require certain equipment and accessories to become the best impersonation of gold-medal swimmers and enhance their swimming experience. Below are the top five things that you should have if you are a swimmer. Goggles protect your eyes from chlorine and enhance your view while swimming. The ideal goggles should be comfortable, fit well, and give you good vision. You do not want your hair to get in your way while swimming. Therefore, wear a swim cap to keep your hair from your face and make your strokes efficient. Pool shoes protect your feet from the cold locker room floor and pool deck. You can opt for flip-flops to wear at the poolside and showers. A swim bag can be a duffle bag, a backpack, or a tote bag where you store swimming accessories such as towels, swimwear, goggles, caps, and pool shoes. Do not forget to pack waterproof sunscreen, watch, and fitness tracker in your swim bag. You can visit Total Shape to get an array of waterproof fitness trackers. Remember to carry water bottles to stay hydrated during your swimming sessions and some snacks to ease your hunger. With a swim bag, you will never get to the pool only to realize that you forgot your goggles. A swimmer’s snorkel is a versatile accessory that helps you become a better swimmer. You can strap your face with a swimmer’s snorkel to do just about anything in water ranging from maintaining balance to sculling properly and doing kick work. 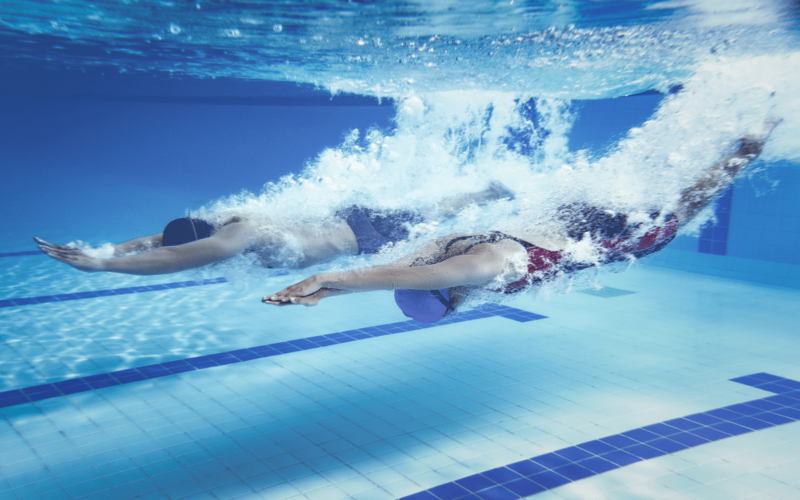 Swimmer’s snorkels are particularly helpful in developing a more balanced and full stroke. Also, they prevent muscle imbalances that cause swimmers shoulder. It is obvious unless you are at a nudist facility. Every swimmer should have a high quality and durable swimwear. The swimwear should fit well and withstand daily exposure to chlorine. It should keep its shape even after long periods of wear and dry quickly. For swimmers, bikinis are not an option. There are tons of swimwear options in the market and you can always get one that appeals to you. Almost every swimmer desires to increase his/her swim speed. You can use swim equipment such as swim fins to add speed to your workout. Swim fins help you propel through water easily and quickly and hence increase your speed. They have numerous benefits for swimmers. Swim fins ease shoulder pounding, boost ankle flexibility, increase legs strength and endurance and ease upkicks. Notably, swimming with fins is not only fast but also fun. Be cautious when picking a pair of fins and always opt for shorter ones. Swimming is a recreational activity for many persons for short-term fun or long-term fitness. If you are a swimmer, you need various accessories and equipment to make your swimming experience more fulfilling. Endow yourself with these top five things and you will never go wrong.